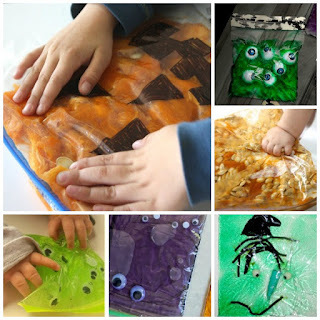 Sensory bags are a great way for little ones still in the mouthing stage to explore play materials. 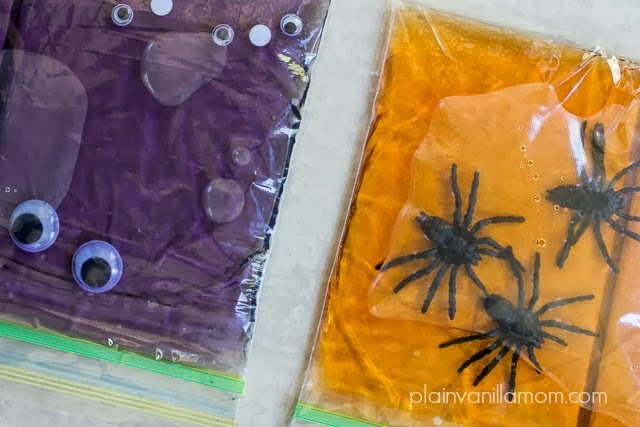 Today, I made a few Halloween sensory bags for Rosie and Jewel. 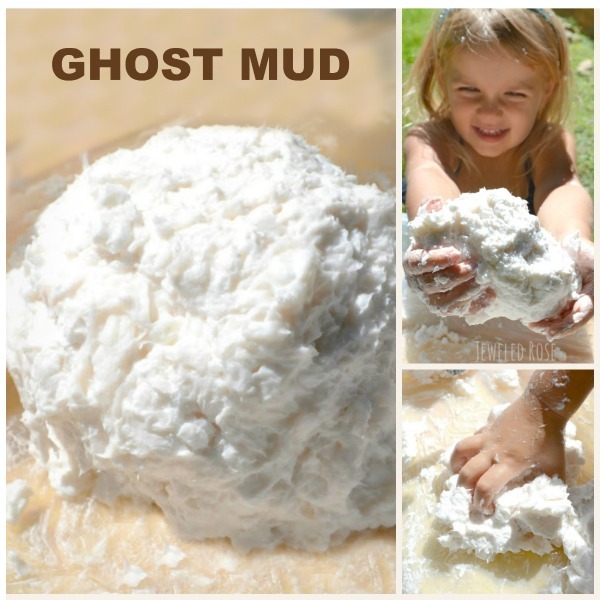 They had lots of fun playing, and I loved that there was no mess to clean up after. 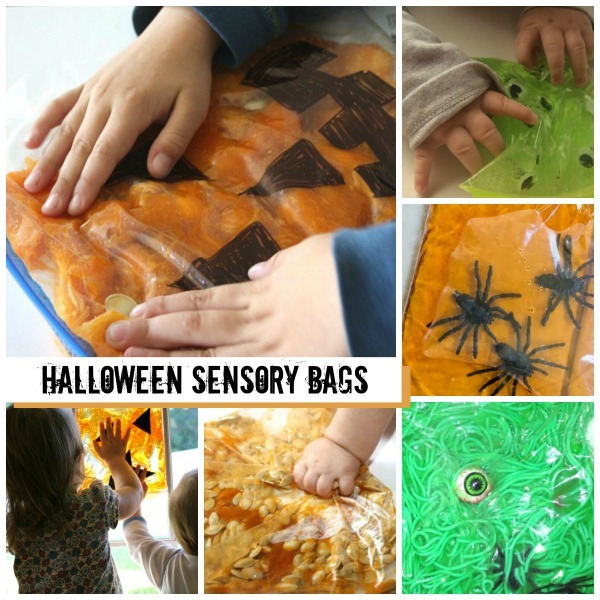 Here are the sensory bags that I made as well as some great ideas from others. Empty the hair gel into the zip seal bag. 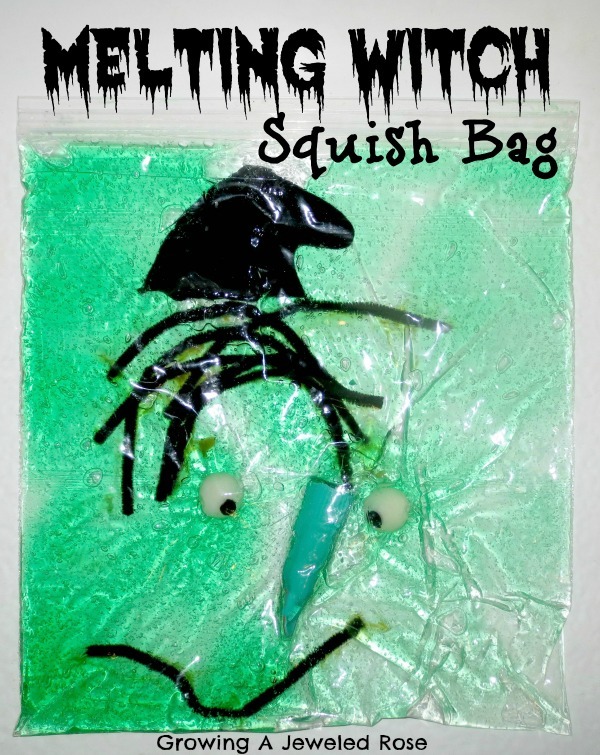 Add a couple drops of green food coloring and mix well by squishing the bag. 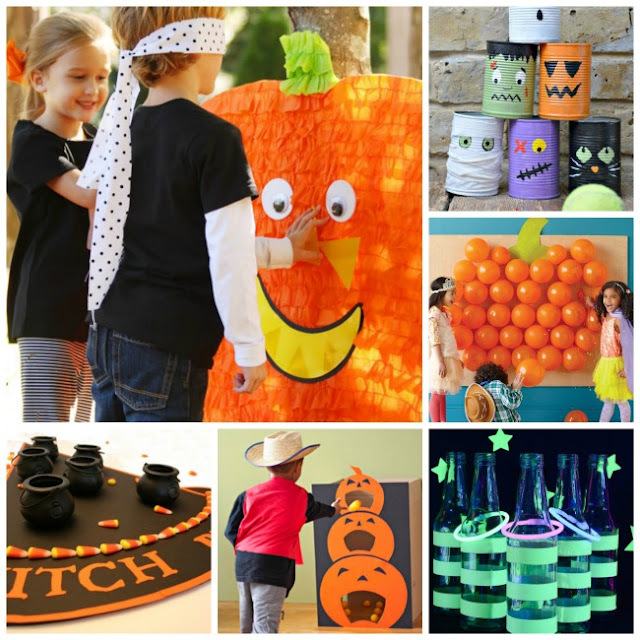 Then, add all the witch parts. 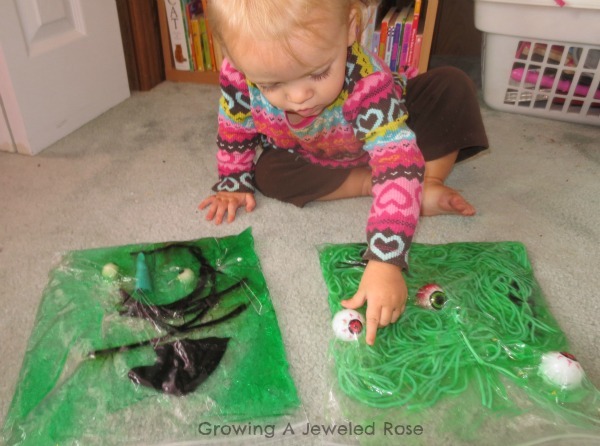 Rosie especially loved this sensory bag! 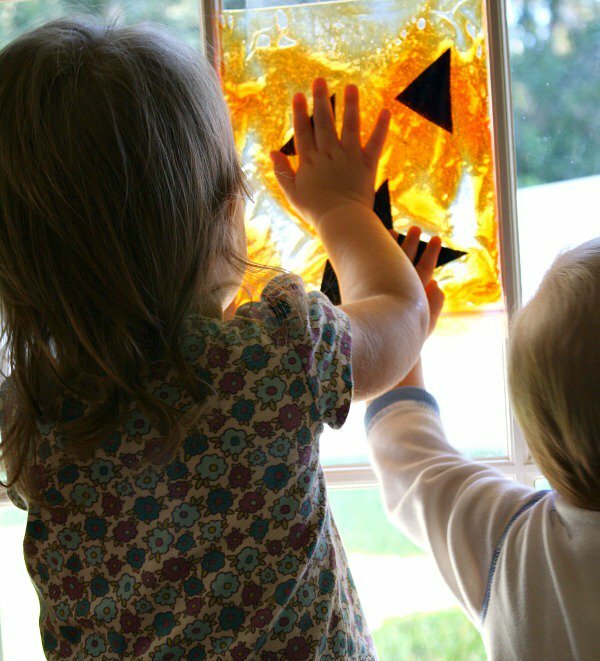 Each time she was finished making the face we squished the bag and mixed up all of the parts so that she could do it again. Note- you can get hair gel at the dollar store. 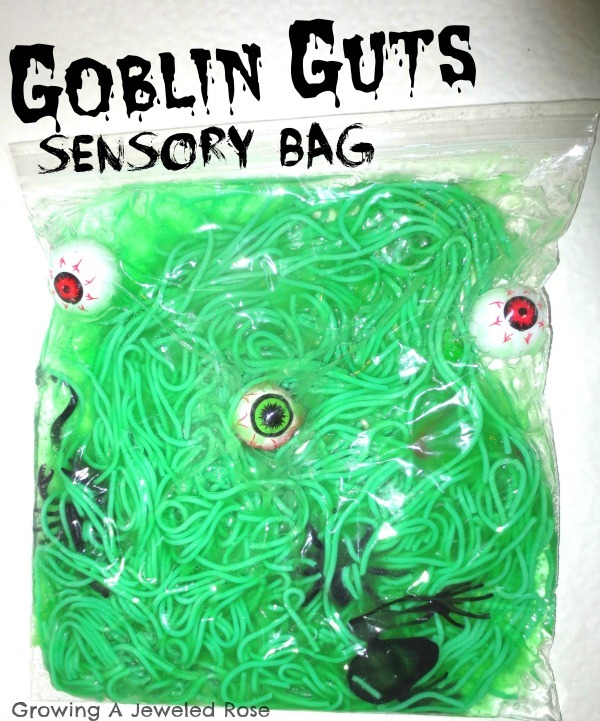 To make this sensory bag I re-purposed some of the pasta from when we played with goblin guts the other day. 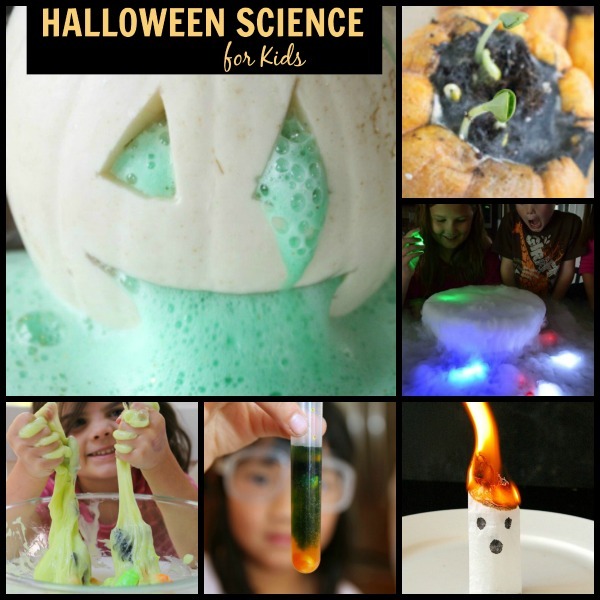 Mix the cooked pasta with a couple drops of green food coloring in a bowl. 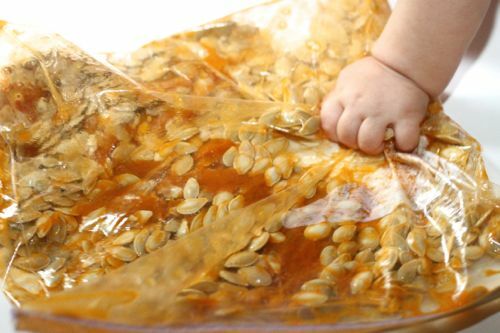 Allow several minutes to dry. However, don't wait too long. You don't want the noodles to dry out. 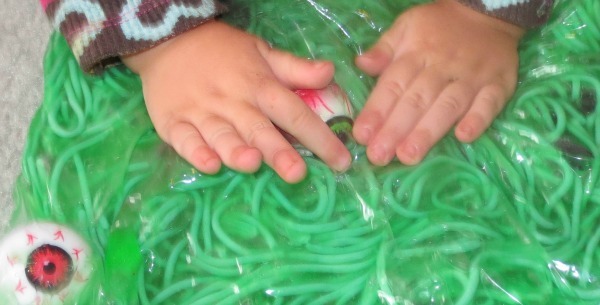 Once dry mix the green pasta with all other ingredients in the zip seal bag. 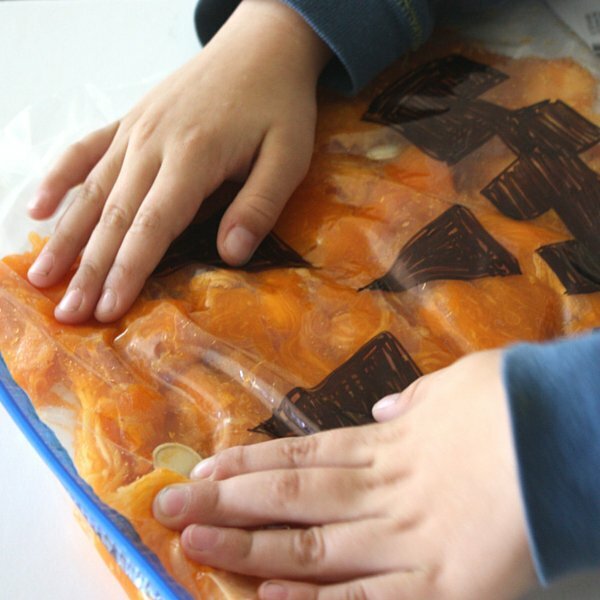 Then secure the bag with clear packaging tape. 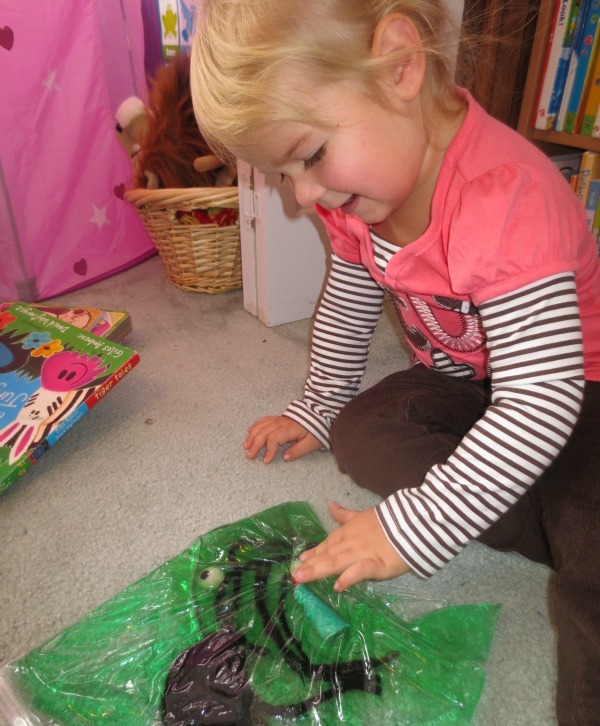 Both Rosie and Jewel have loved the Goblin Guts sensory bag! 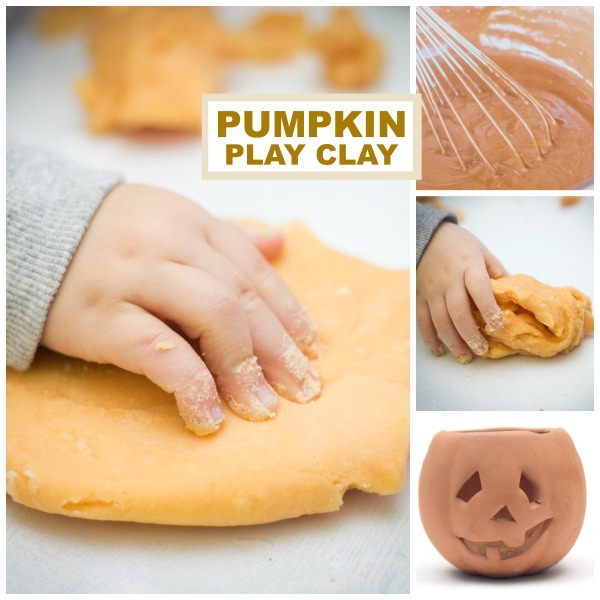 Squishy, Gooey, and oh so fun! 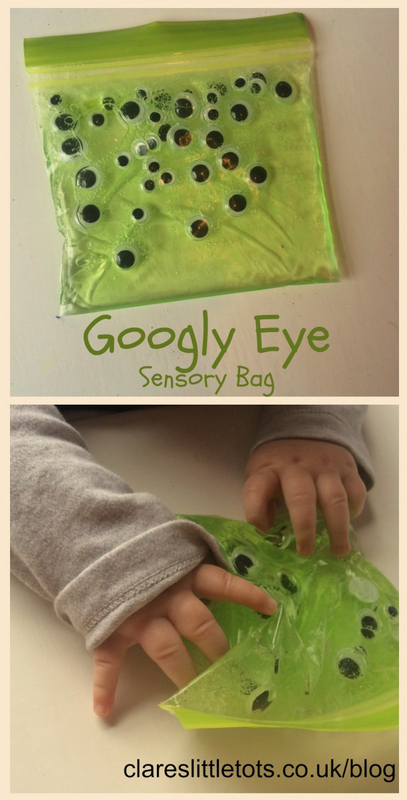 The goblin guts sensory bag will only last about a week due to the pasta, but it was a great way to make use of some of the pasta after our other goblin guts activity. 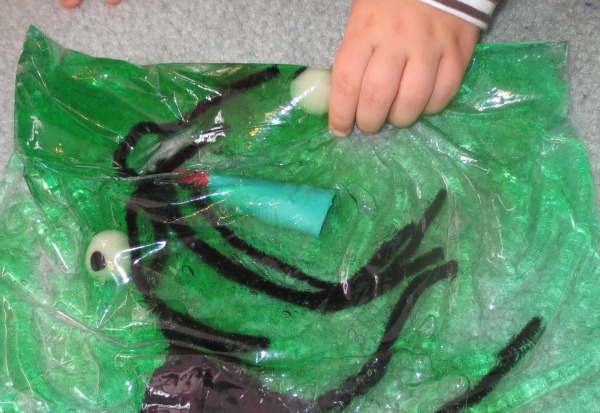 Note- we kept this sensory bag in the fridge in-between playtimes.